Scale: approximately 1:11. 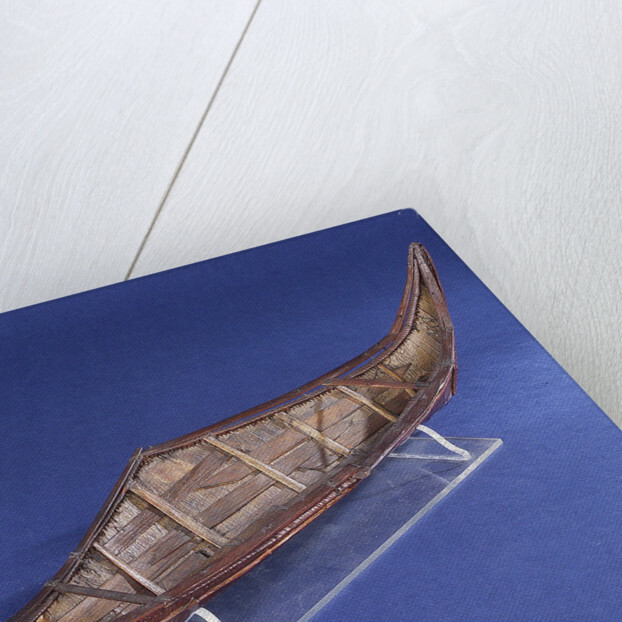 An ethnographic boat model of a Beothuk or 'Red Paint People' birch bark canoe (circa 1826), from Newfoundland, Canada. 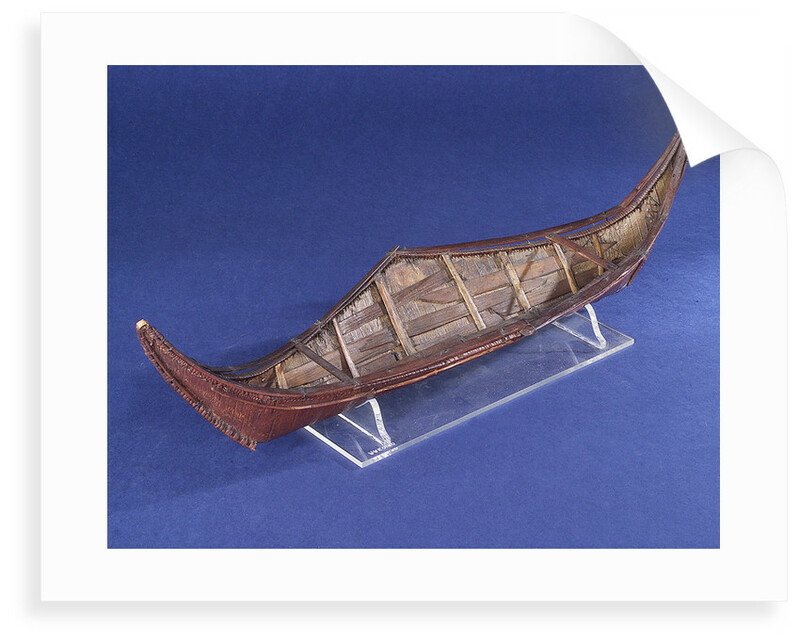 These boats, approximately 6 metres in length, were used for inter-island travel along the coast. The model was made by Nancy Shanawdithit who died in 1829 of tuberculosis. She was probably the last member of the Beothuks, the aboriginal inhabitants of Newfoundland. 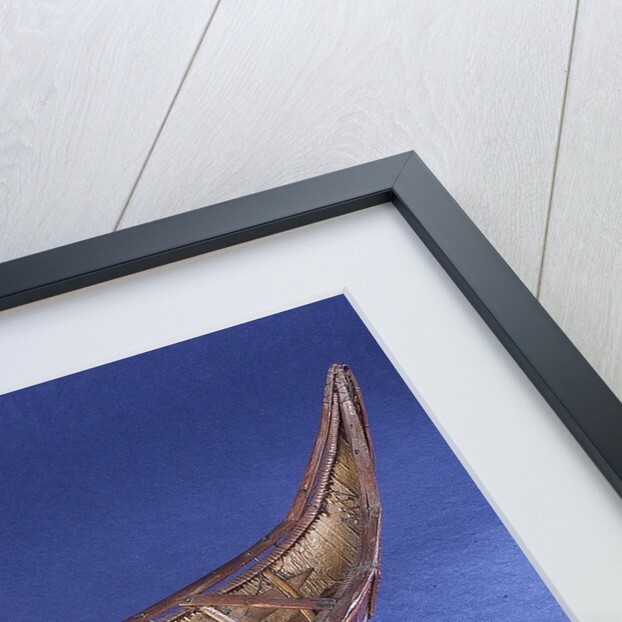 The last survivor of a small family group encountered in a starving condition, Nancy as she became known, lived out the remainder of her life amongst Europeans, and was able to leave some valuable records of her culture. 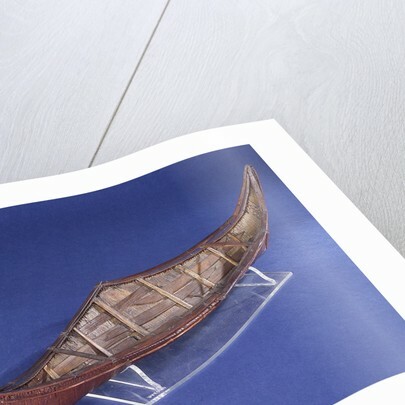 The Beothuk, had lived by fishing in the summer and hunting caribou inland during the winter. The expanding European fishing communities of the coast cut them off from access to their marine resources and malnutrition made them susceptible to imported diseases. Lack of trade led to Indian pilfering from European settlements to obtain iron and this in turn led to conflict with fishermen and trappers. More by the artist Nancy Shanawdithit.